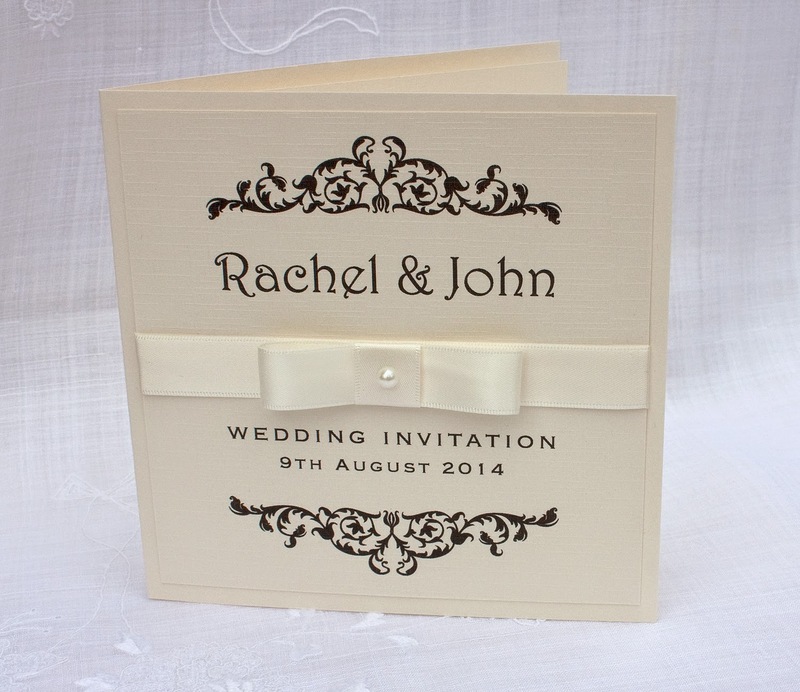 The Rachel invitation has been designed using a motif and font to give a Victorian feel. This would compliment greatly with any Victorian style venue. The invite is a classic folding style card with a paper insert. 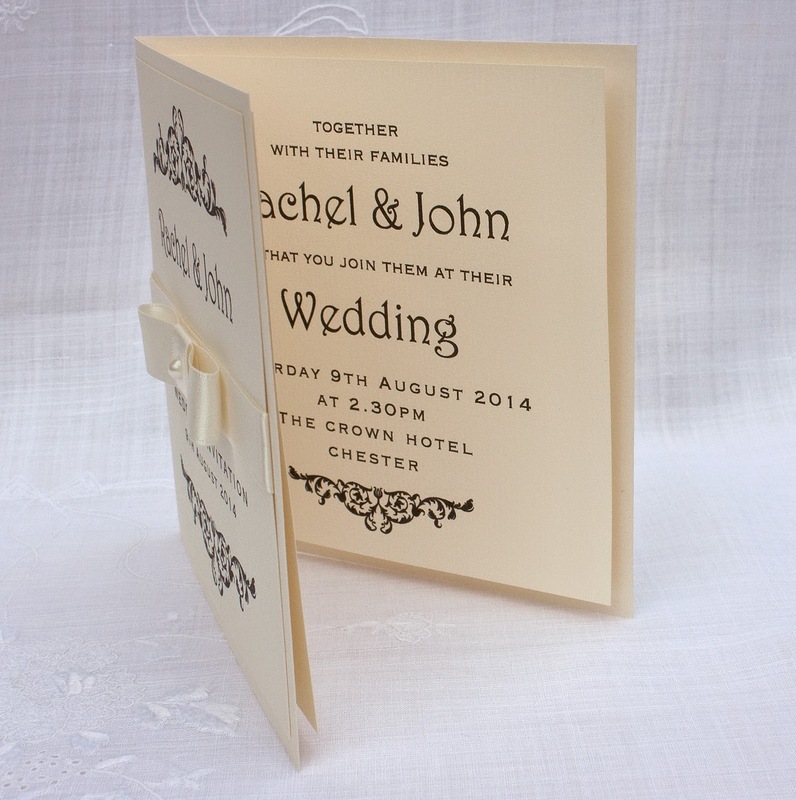 Both linen effect and plain ivory card has been used. The addition of the ivory ribbon and pearl completes the finished look.